Our obsession with olive oil began in 1993 when we purchased and subsequently renovated Villa Montecastello, our 11th century hilltop Fortress in central Tuscany. A ruin when we moved in with surrounding land used as the local garbage dumping ground for many generations, it had not occurred to us that a grove of a few hundred unkempt olive trees right outside of what would become our kitchen window, would be a source of such fascination and devotion. After removing truckloads of scrap metal, shoes, broken bottles, pottery and other debris, we discovered that the enormous root balls of these scruffy trees were centuries old. 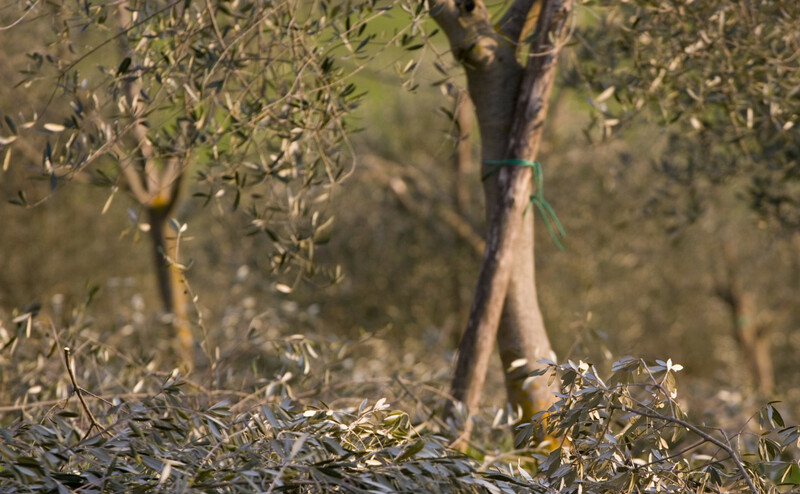 After years of extensive pruning and improving the health of the soil under organic principles, our trees were visibly healthier, stronger, and began producing a superbly high quality olive oil, that after a few years established a reputation for being the best olive oil in the area. 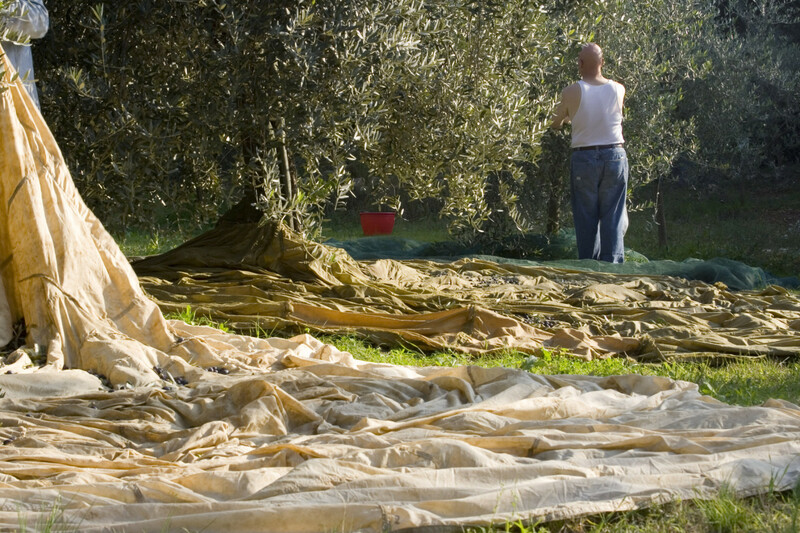 Every olive oil producer has the aim to process their olives as soon as possible after the olives are harvested from the trees. 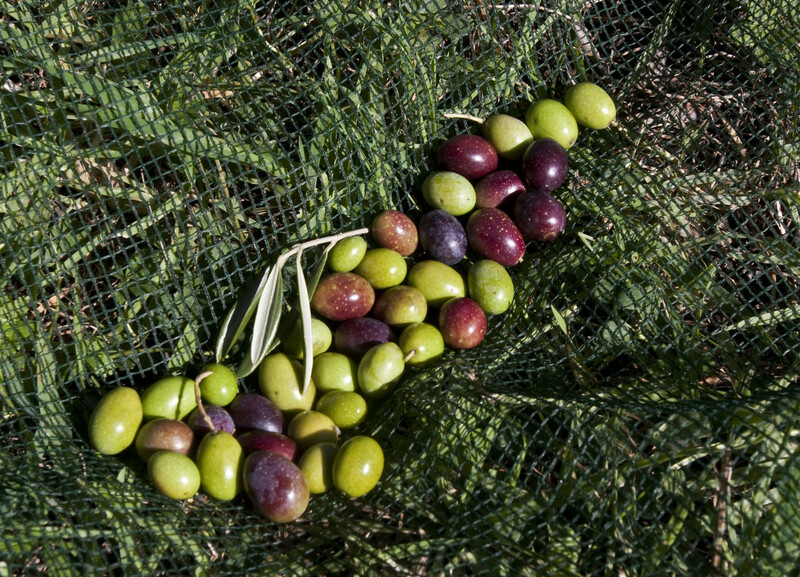 As olive oil is a fresh food product made without any conservatives or additives, the freshest olives make the freshest oil. Typically olive growers have a time slot at the local olive mill and the olives can be stores up to 48 hours before pressing, risking bruising of the olives or fermentation. 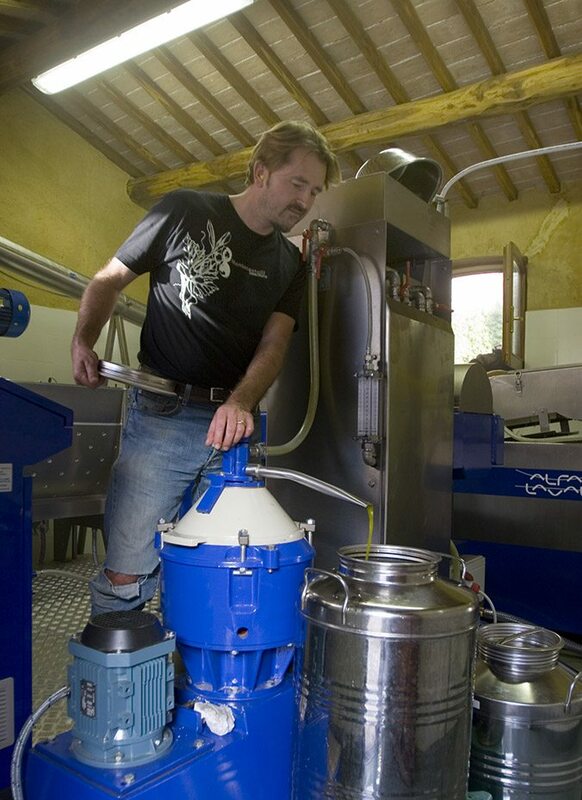 In 2006, we realized our wildest dreams and installed on site, what would become the first ever miniature Alfa Laval olive mill in the Chianti! 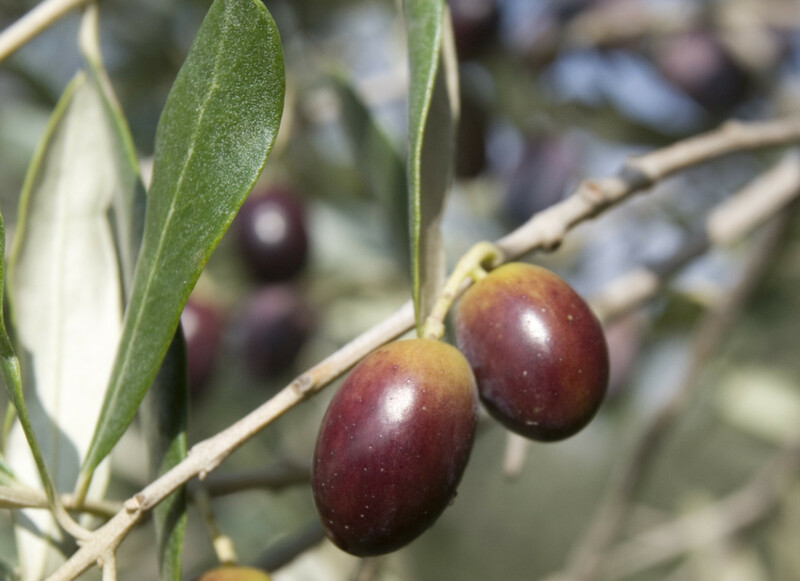 The results are astonishing, and we are producing an oil that has the lowest acidity levels ideal for health, but our oil turned out to taste more like the fresh fruit is made of; the olive! Montecastelli Selections oils are hand crafted artisan products that are made in very small quanities. Larger production estates would be unable to lavish the care and attention that our producers can. The size of the estates enables us to dedicate ourselves to quality and nothing else, which takes and enormous amount of work but is amply repaid by the unparalleled result! Primo Olio is our organic, award winning olive oil produced at Villa Montecastello, from the groves directly surrounding the property. Every possible effort goes into this carefully crafted oil; hand plowed, hand harvested, pressed within hours at our on site miniature Alfa Laval olive mill, this unfiltered oil smells of fennel and green grass and possesses a lightly spicy finish that clearly speaks of the fresh fruit it is made of: Olives! 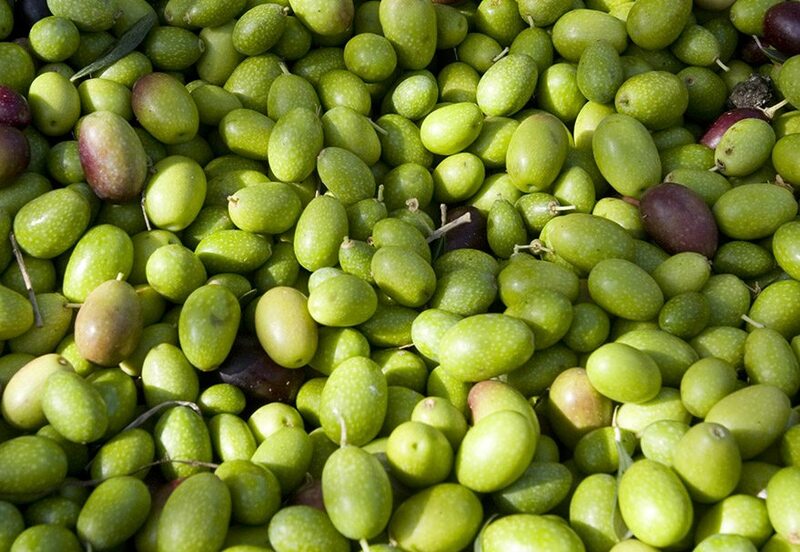 The large Nocellara del Belice olive is southern Italy’s most important and versatile olive variety. Often brined and fermented to produce a fabulous table olive, this flashy big, green olive also makes the best olive oil south of Tuscany. At the core of the Nocellara del Belice olive is grassy green character, with notes of fennel seeds and as much spice as the Tuscan Frantoio variety. Here at the Di Giovanna estate, the Nocellara is blended with a small portion of the hardier Biancolilla variety, making this one of Sicily’s purest olive oils. 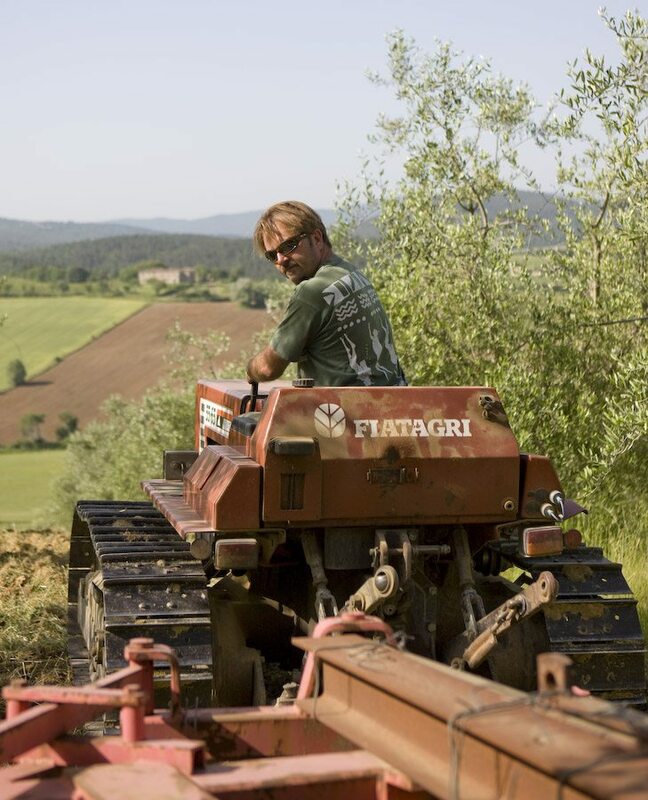 While most olive groves in Sicily are valley or coastline bound, here at the Di Giovanna estate, two brothers, Gunther and Klaus Di Giovanna, are growing olives at an unusually high altitude using organic principles above Sambuca di Sicilia, and altitude translates in olive groves into purity. Grown in the beautiful rolling hillsides outside of Florence in the Florentino district of Bagno a Ripoli, our olive oil offering from producer, Le Sorgenti, is a beautiful example of classic Tuscan extra virgin olive oil. Bright green, grassy with super Tuscan spice, this is the best quality oil we have found for the price. During harvest olives are pressed daily and at nearby friends mill, this blend of Frantoio and Moraiolo olives is of superior quality with only .017% olaic acidity for maximum health benefits. For the first time, packaged in an air tight bag inside a box with easy to use pour spout. This new packing method locks in optimal freshness and vibrancy in the oil.